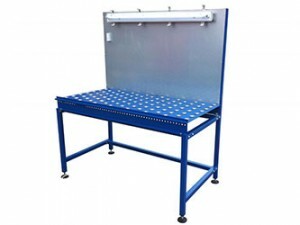 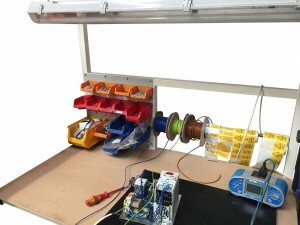 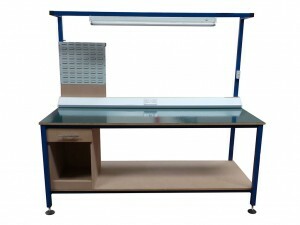 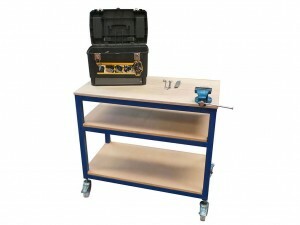 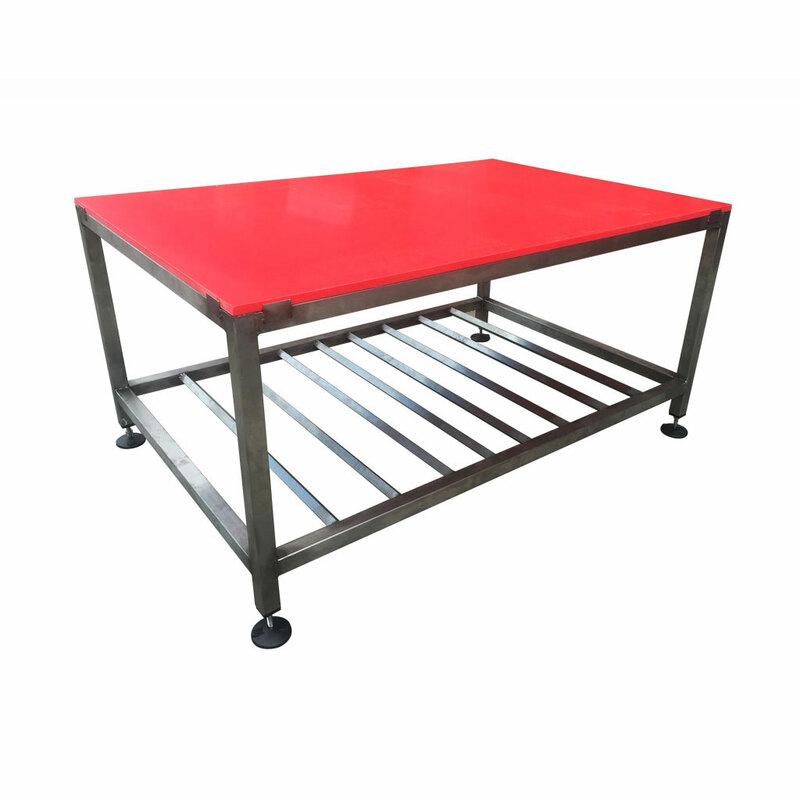 Electrical assembly bench manufactured by Spaceguard are Proven within a wide ranges of electrical and electronics industries including Panel building, Mobile phone repair, computer assembly, Mobile phone antenna assembly, electronics recycling and repair industries to name a few. 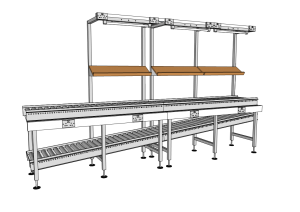 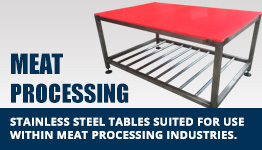 They would are also ideal for use within assembly/production lines with the addition of conveyors Spaceguard is able to supply a Electrical assembly bench system. 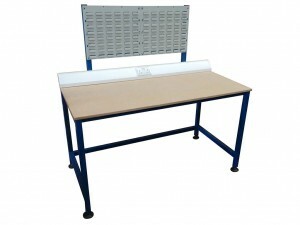 Electric assembly bench can be manufactured to your specific specifications, As tables from Spaceguard they are manufactured from welded steel section with a durable powder coated finish and ready for immediate use, utilizing the same high quality materials found in the rest of our packing table and assembly range manufactured from our UK based factory. 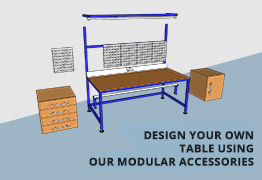 Typical accessories available on our electrical tables can include louvre panels or tool racks, lighting rails, table top electrical sockets (either individual or within trunking), Integral IT equipment mounting and storage or different worktop finishes such as ESD (anti-static) matting or different worktops entirely that may be more suited to particular environments such as Nylon. 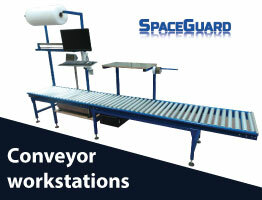 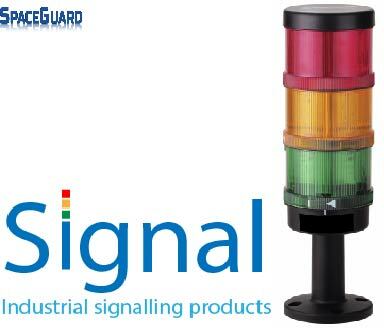 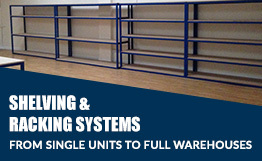 Please contact our sales team on 01482 363445 or by email: sales@spaceguard.co.uk to discuss your specific needs. 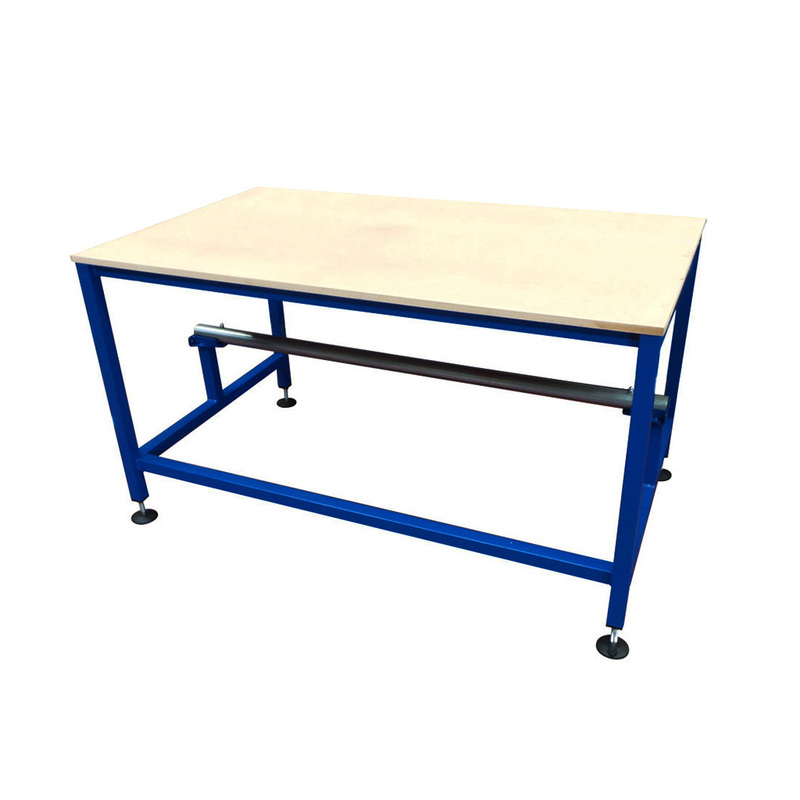 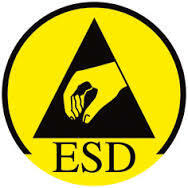 Along with our electrical benches Spaceguard offers ESD products, including mats, Workbench top and earthing accessories, which safeguard your product when working on electronic components and assemblies. 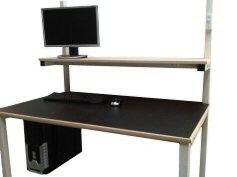 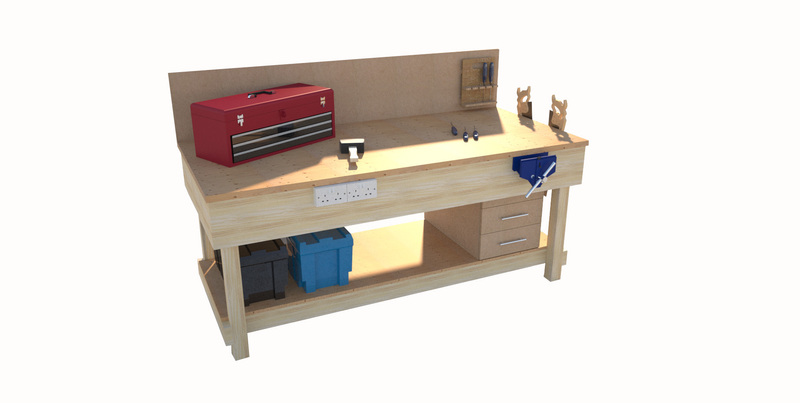 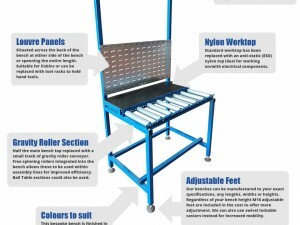 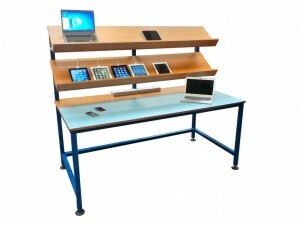 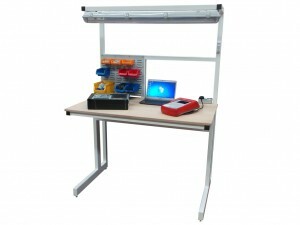 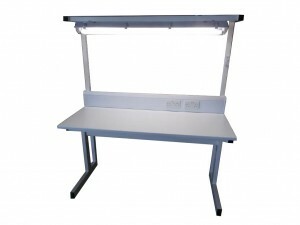 We also offer electrical workstations using anti static PVC top or Conductive Nylon for the less critical areas. 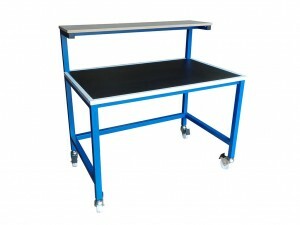 Spaceguard also manufactures assembly lines for manual assembly of electronic assemblies which include conductive roller or belt conveyors, built into benches, please contact our sales team to discuss your needs.